Hola Amigos!!! Yes, that’s how I send each of you best wishes for the new year. This year began with a visit to a Mexican joint. The Mexican wave has swept across Singapore in a big way – and its giving us more places to visit! 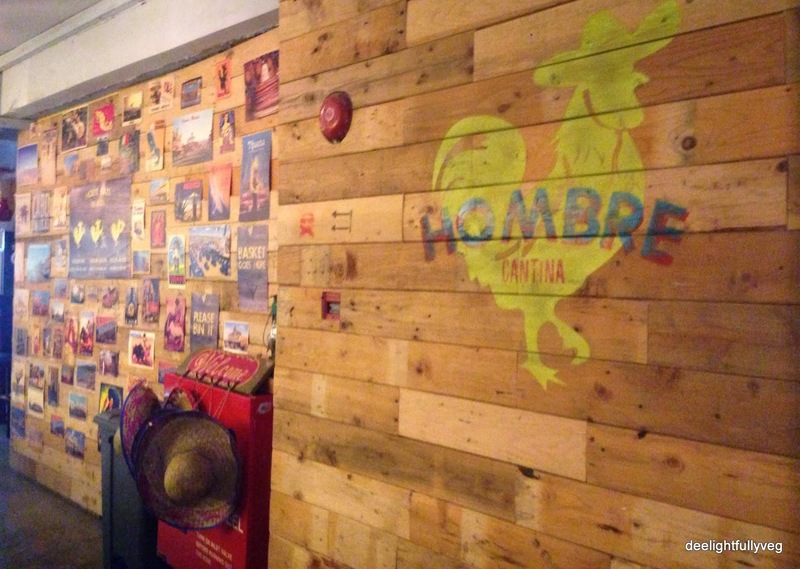 One of the new entrants in the scene is Hombre Cantina situated along Boat Quay. It fits the bill for a casual outing. We headed there for dinner and it felt like a Mexican joint, thanks to the decor. Wood-panelled walls, Spanish hats hung across nails, interesting pictures adorn the restaurant space which added to the appeal. The rooster literally rules the roost at this joint. 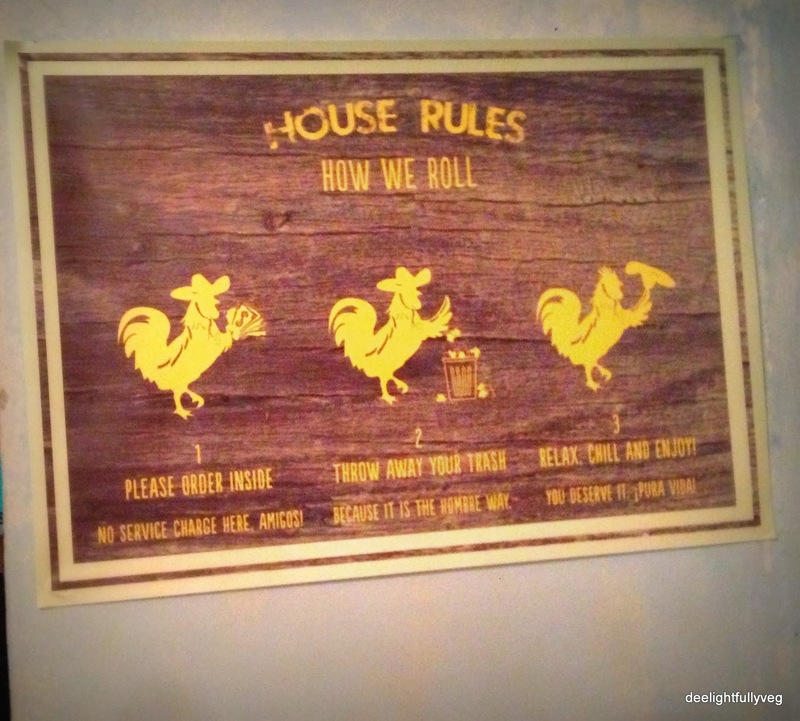 Right from the restaurant name, to the table tops to the “rules” – the rooster is present everywhere. This is a DIY burrito place which also seems to be a growing trend. The rules were clearly described as can be seen from the image. To begin with, we went for the healthy serving of ‘Rice Bowl’. This is basically a burrito without the tortilla served in a bowl. The vegetables were fresh and crunchy and blended well with the rice. The guacamole could have been much better as the real taste of avocado and lime was missing. When I was going through their drinks menu, I saw that they had featured the traditional Mexican drink called ‘Horchata’. 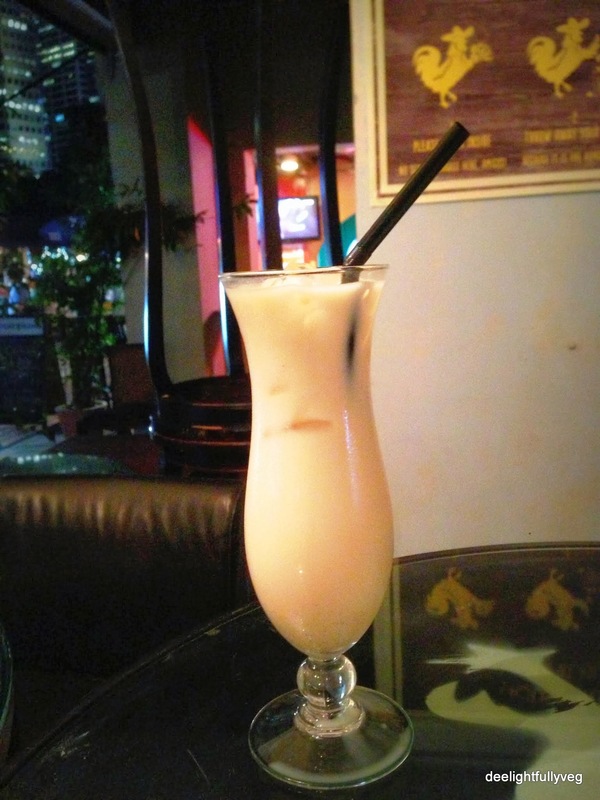 This is basically a rice-based drink with almonds and has a creamy texture on the whole. If you do not have an appetite for tasting something totally different, then stick to standard choices. I wanted to taste something unique and found it quite OK apart from the fact that it could have been a bit cooler. We also went for the usual ‘Vegetarian Burrito’ which was quite filling. I took black beans, pico de gallo, guacamole and medium spice salsa as the components while making my burrito. The tortilla had dried and was a bit difficult to munch but otherwise the taste was quite good. 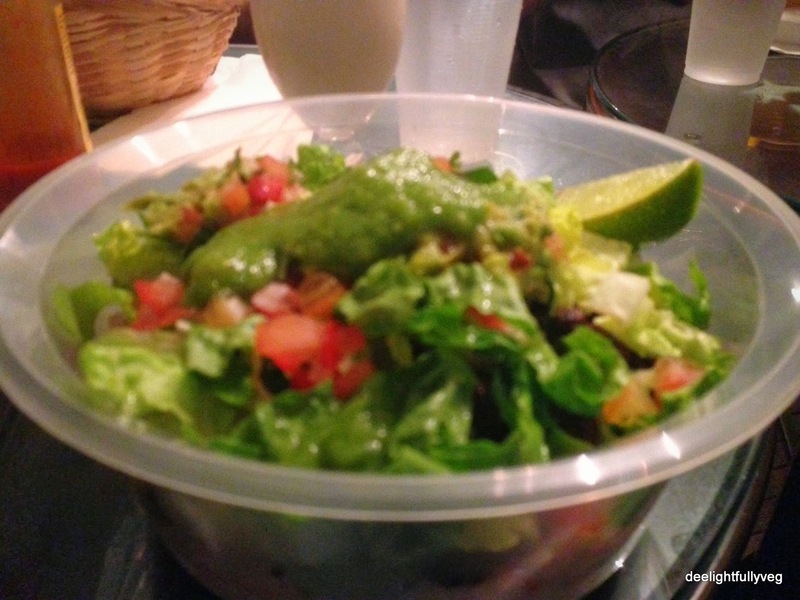 This is priced at $15 excluding the guacamole which comes as an additional topping at $2. Lime infused water is provided (self-service). They also have margaritas and lunch offerings as per the time of the day. In the evenings, there is a gentle breeze which kept us cool and helped us enjoy the meal. The serving staff were friendly and attended to us promptly. On the whole, Hombre Cantina has the potential to garner attention with respect to its location, menu offerings and combo deals, provided it gets the taste on the key ingredients on its menu offerings right. For now, wishing each of you a very Happy New Year and adios. Posted on January 19, 2014 by deelightfullyveg	• This entry was posted in Restaurants and tagged Boat Quay, burritos, horchata, Mexican, Raffles Place. Bookmark the permalink.